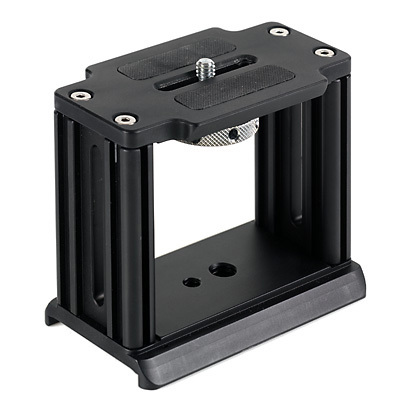 The CS-M5 mount unit is fabricated from precision milled high grade aluminum with a black anodized finish. 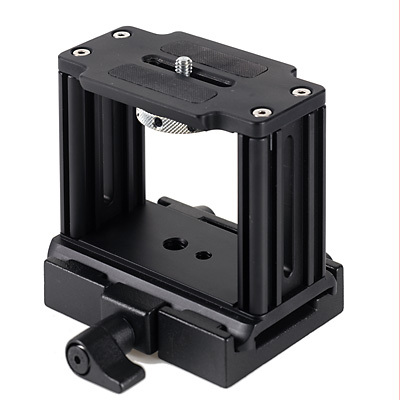 The CS-M5 mount is designed for DSLR and DV cameras. The CS-M5 can be mounted to the CS-152, CS-153 and CS-154 unit. The CS-M5 mount plate features a quick release plate fitting into the Manfrotto® 357 quick release adapter as well as 3/8”16 and 1/4”20 threaded mounting holes. Note: Manfrotto 357 is not included.